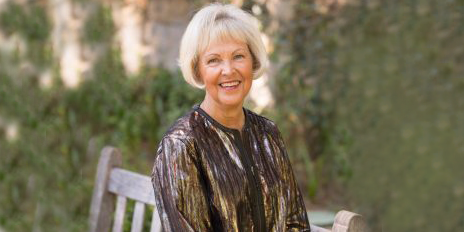 Judie Christensen '69 grew up close to Wheaton, Illinois, and hadn't traveled west of the Mississippi River when she transferred to Westmont as a junior. She made the journey because she could major in both Christian education and business, finish in two years and prepare for a career in Christian camping. The first person in her family to attend college, she put herself through. But her mother became terminally ill, so she returned home after graduating to care for her. Setting her plans aside, she worked full time as an office manager while earning a master's degree in business communications at Northern Illinois University (NIU). She taught at two community colleges and at NIU while earning a doctorate in business education. Arizona State University recruited her to teach business communications, which she did until her department closed. She then spent 20 years at the University of Phoenix teaching business communications and business research. She finished her teaching career at Grand Canyon University, where she taught marketing. Judie also worked as a real estate broker for 32 years. Now retired, she is a lifelong learner. She owns an urban farm and belongs to Urban Farm University, which promotes sustainability of today's depleted food supply. She is active in her church with various mission projects, and she is a stained-glass artisan. She has served as a church organist and pianist most of her life and volunteers as a pianist twice a week at the Mayo Clinic in Scottsdale. Grateful for two happy years at Westmont, Judie looked for a way to give back. A member of the Wallace Emerson Society, she made a provision for Westmont in her estate. But she also wanted to do something for current students and so funded a paid internship in the Gift Planning Office. "I help students develop some skills and insights into philanthropy, and I also provide tangible assistance to the staff," she says. "I want to correct misperceptions about the Wallace Emerson Society: you don't have to be wealthy to leave a bequest. Every gift matters." Reproduced with permission from the fall 2016 issue of the Westmont College Magazine. For more information about ways to include Westmont in your will or trust, please contact the Office of Gift Planning at (805) 565-6058 or giftplanning@westmont.edu.